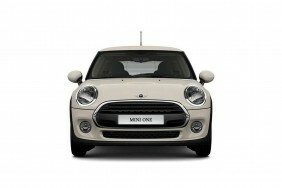 Great MINI Hatchback car Leasing & Contract Hire Deals. Smarter, better equipped and more efficient, this improved entry-level MINI One hatch model is now more appealing with a bigger 1.5-litre engine. The styling is much as before with only subtle differences being apparent to MINI anoraks, but the cumulative effect of all those changes is that this is now a better car than its predecessor. Our MINI Hatchback Lease Deals. You know what? 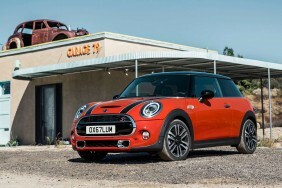 The best way to enjoy this latest MINI is to do yourself a favour and forget the old Mini. Yes, the original, tiny Alec Issigonis one. Put it to bed, consign it to the past and let collectors show and shine them. Times have changed. We want cars that are safer, more efficient, better equipped and, yes, bigger. If you're still hung up on the so-called 'new' MINI, perhaps you need to accept that and move on because be in no doubt, this is now an excellent vehicle and one that has exceeded paymaster BMW's most optimistic expectations when it originally embarked on this project. The first MINI appeared in 2000 and was an instant hit, despite being powered by some fairly crude engines. That model was replaced in 2006 by the second generation car which got a better chassis and vastly more efficient engines courtesy of a joint venture between BMW and PSA Peugeot Citroen. By 2012, 2.5 million MINIs had been sold and a third generation model was being developed. That's the car you're looking at here. The brief was clear. Better quality, better fuel economy, better pedestrian impact protection, more equipment, more space, more innovation. Has the latest car lived up to its billing? Let's mark its card in entry-level 1.5-litre petrol 'One' guise. Prices open at just under £15,000 for this base petrol-powered One. What does that buy you in terms of equipment? Well, for the sake of argument, let's assume that you're one of those vanishingly rare people likely to walk into one of the company's dealers and hand over the asking price for an entry-level MINI One variant with no options at all. 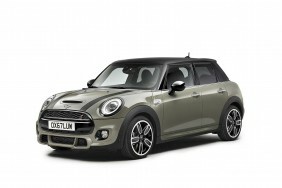 Although the badge on the back, the smaller wheels and the non-contrasting roof won't fool your friends into thinking you drive a Cooper, your 'One' will nevertheless come with front foglamps, daytime running lights, power heated door mirrors, air-conditioning, Bluetooth connectivity, power mirrors, a keyless starting system, a trip computer, the MINI central display with illuminated ring and a decent quality DAB stereo featuring both aux-in and USB sockets. Not bad. 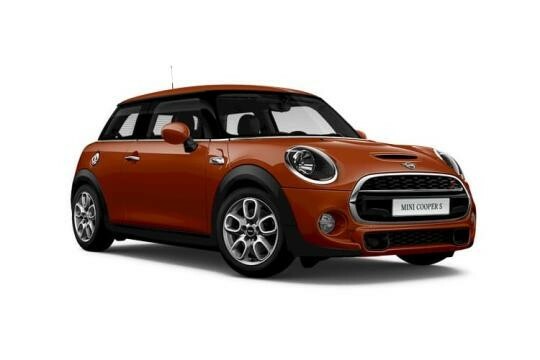 Safety-wise, in addition to ABS anti-lock brakes, electronic brake force distribution, cornering brake control with brake assistant, the driving stability control system in the MINI includes a drive-off assistant, brake dry function, fading brake support and dynamic traction control (DTC). This system permits controlled slip at the drive wheels so moving away on loose sand or deep snow is a bit smoother. There are front and side airbags as well as curtain airbags for the front and rear seats, automatic passenger airbag deactivation and front and rear ISOFIX child seat mounts. The entry-level engines in most small car ranges are usually tired old nails left over from the previous generation and snare unwary customers attracted to the car's low price but unaware that fuel economy will be distinctly old-school. Not so with the MINI One. Its 1.2-litre three cylinder petrol unit will return a combined cycle reading of 61.4mpg and emit 108g/km, though you'll dent those figures by about 5% if you opt for the automatic gearbox. A further new innovation lies with the MINI Driving Modes, another optional extra. Using a rotary switch at the base of the gearstick or selector lever, drivers can swap from the default MID mode to either SPORT or GREEN. The three choices offer a set-up which is either performance-oriented, comfort-biased or geared towards fuel efficiency. The latter includes a coasting mode when the driver removes their foot from the accelerator pedal. MINI Driving Modes also influence the ambient lighting, shift characteristics of the automatic transmission and the Variable Damper Control - if that extra cost option is selected.